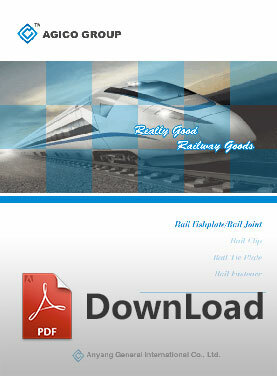 Crane rail and accessories are specially used for cranes. In addition to the crane rails, important crane accessories also include crane rail clips, crane rail pad, crane rail clamp, crane sole plates, etc. Since the cranes are generally used for heavy load transport, the use of special parts such as crane rail, crane rail clips and crane sole plate is particularly important. 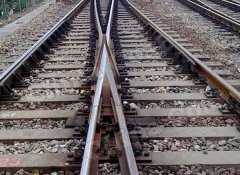 As one of the experienced crane rail suppliers, our crane rail and accessories have sold overseas and widely used in many fields such as railway lines, power, mining, metallurgy, steel mills, ports, shipbuilding, coking, etc. industries. We are also a cooperative partner of Gantrail and Gantrex. 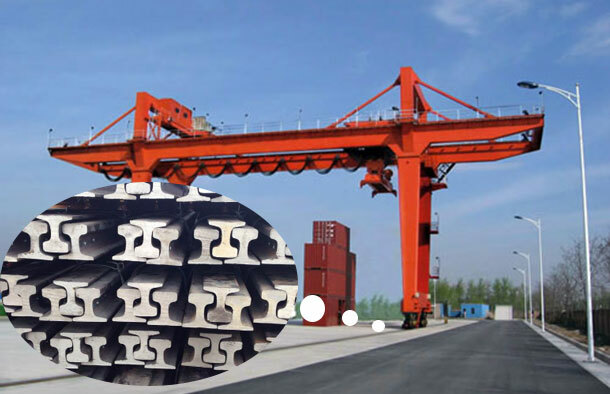 We can agent the purchase of gantrex rail clips, gantry crane rails, gantry crane rail clamps and other crane rail accessories from Gantrail and Gantrex. Crane traveling track is the running route of the crane laying by the crane rails. It can ensure the crane running along the prescribed line and ensure transportation safety. The selection of crane rail is usually matched according to the type of crane. Specifically, we mainly refer to the maximum wheel pressure and minimum wheel pressure of the crane to calculate the crane rail size and selected wheel size by the crane. 1. US Gulf crane project uses QU80 crane rails. 2. 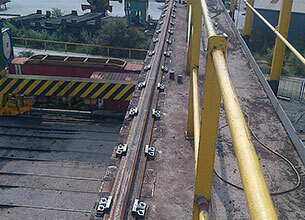 Philippines industrial plant crane rail project uses 60E1 crane rails. 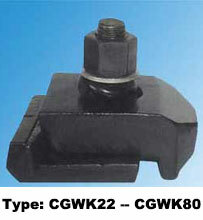 Crane rail clips are used to hold the crane rail and make it fixed on the crane soleplate. The crane rail clip is an important crane rail fastener. 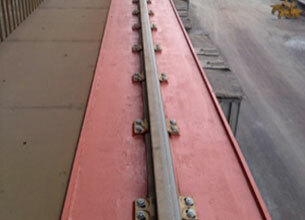 The upper part of crane rail clips is pressed on the crane rail and the lower part is fixed on the crane sloe plates. There are two ways to fix the crane rail clips, one is fixed by rail bolt, the other is fixed by welding. Each of the ways has its advantages and suited to different situations. Bolted type crane rail clip and bolt should be used together. Different bolts should be selected for reinforcement according to different loads. Applicable crane rails: A65, A100, A120, JIS37, JIS50, JIS60, QU80, QU70, QU120, UIC54, UIC60 etc. The welded type crane rail clip has two parts, the lower part is welded on the crane sole plate, the upper part is fixed the crane rail and connected to the lower part by track bolt. Because using the welding method, the crane rail clips can bear more forces from transverse displacement. Therefore, the crane rail clips can be used for the crane with higher load capacity, common in the field of heavy industry. 1. 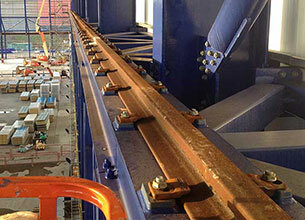 Thailand crane rail project uses 1216 crane rail clips. 2. 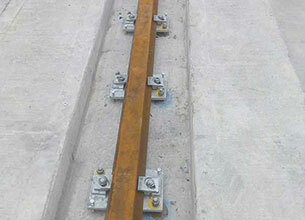 Seychelles shipyard crane rail track project uses type 9120/15/38 crane rail clips. There is a special kind of crane rail clip called crane rail clamp. 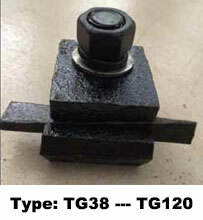 We have rail clamps for cranes popular with customers used with GB standard crane rails. The crane sole plate is a crane rail accessory that is placed under the crane rail to support and disperse the pressure carried by the crane. According to the different requirements of the crane load, the crane sole plates can be divided into individual type and continuous type. For the light-duty crane, the individual type crane sole plates can completely support the pressure from the crane wheel. 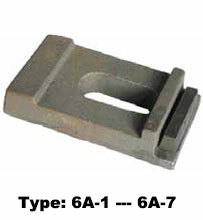 Individual type crane sole plate is a very economical choice when the crane track does not require full force. Individual type crane soleplates are easy to install without special customization and saving installation time. Continuous type crane sole plate has a good supporting function for the crane rails which need a continuous force in the whole track. Due to the large load, heavy cranes generally require continuous multiple-point force, and continuous type crane sole plates can give higher safety factor support. 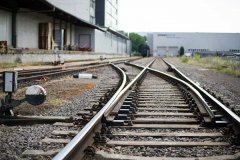 Based on safety guarantees, the manufacture of continuous type crane sole plates needs to be made based on actual crane rail track groove data. Crane rail pad is an important component used between crane sole plate and crane rail to buffer and disperse the load pressure from the crane. 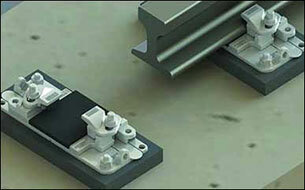 According to different crane soleplates, different types of crane rail pads need to be selected. 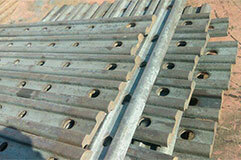 Individual type crane rail pad need to be used together with Individual type crane sole plate. 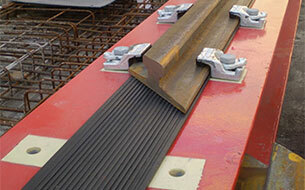 The crane rail pad is flexible and can disperse pressure very well. 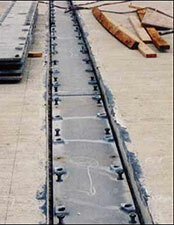 This type of crane rail pad is continuous and uninterrupted, laid on the continuous sole plate. 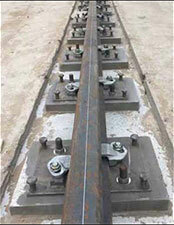 The continuous type crane rail pads make the pressure from high load crane more evenly distributed. 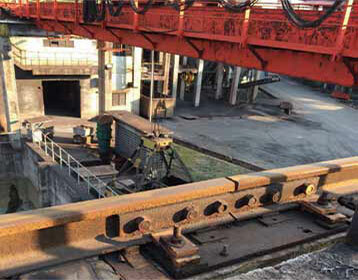 Malaysia Ann Joo Resources Berhad crane rail project uses 43KG crane rails and 6A-4 crane rail pads. It has been used safely for two years.